We have all watched Japanese animation at some point in our lives. Be it in the form of Hayao Miyazaki films, Dragon Ball Z or the animated series of Pokémon, we have all been exposed to it. But we’re sure you’re not surprised that those selections don’t even begin to scratch the surface of the world of Japanese anime. So how can you expose yourself to more you ask? 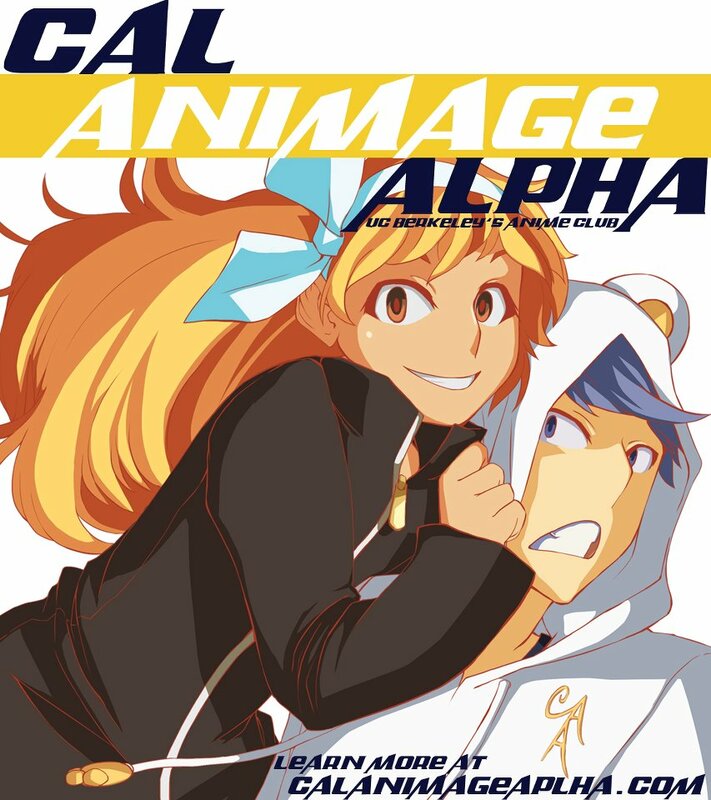 Well that’s easy, check out Cal’s very own anime club: Cal Animage Alpha ! When we encountered one of the club’s flyers in the halls of Wheeler, we were pleasantly surprised to hear that Cal has an Anime club where you can come enjoy a marathon dosage of anime. Showings are weekly and happen on Mondays from 7:00-10.00 p.m. at varying locations  listed on their website. Though their anime selections are not entirely familiar to newcomers, the club’s main goal is to focus on showing titles that they feel would have little chance of being released in America but yet are popular enough to hold an audience’s attention. So don’t be discouraged by the unfamiliar names on their website because chances are you’ll find something to like. The club also has an optional $10 fee if you want to become an official member. Contributing has its perks as it gives you access to their entire library of hard drives filled with hundreds of shows, their weekly newsletter and the opportunity to be entered into raffles. Besides normal meetings, Cal Animage Alpha also hold gaming nights every Thursday from 7:30-10 p.m.at Barrows 155 & 174. Anyway, if you have any interest in better tapping into your inner anime nerdiness, we definitely recommend checking this club out.